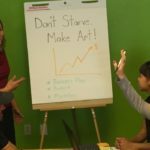 The Keshet Center for the Arts (KCA) is a creative community anchor that educates, entertains and engages; housing and uniting the arts, the artist and the audience. Each year Keshet hosts a School-time Matinee Series where local school groups are invited to attend various shows for free. 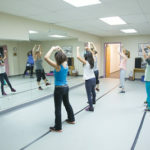 Keshet also hosts a Q & A with the dancers and choreographers after each performance and teachers are provided with a free curriculum guide for each show. 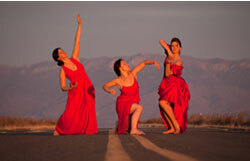 Keshet strives to make dance performance at Keshet Center for the Arts accessible to all. 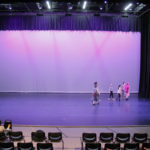 With this goal, performances have altered technical elements, smaller audience sizes, and break-out spaces for individuals to get up and move around throughout the performance, providing a welcoming setting for families. Fewer tickets are sold to allow you to spread out in seating. Volunteers are stationed throughout the audience, lobby and outside the Keshet Center for the Arts to assist audience members. Keshet dancers, staff, ushers and volunteers are receiving training to ensure an exemplary experience for you and your family. Download detailed checklists, rules and a social narrative to help you and your family know what to expect at every step of your trip. 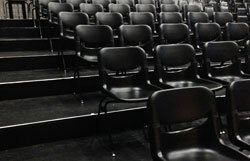 The Keshet Center for the Arts currently has 4 studios and a 220-seat black box theater. 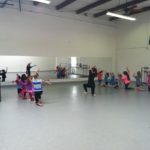 Keshet Makers Space provides choreographers with space to develop their craft, at whatever stage that might be…newly germinating ideas and/or final development of full productions. LEARN MORE about the Makers Space Experience. For information on renting studio, theatre or office space at Keshet Center for the Arts, please e-mail Tim.Wilkins@KeshetArts.org or call 505-224-9808. A performance space with truly unlimited possibilities. The removable dance floor is sprung wood with marley and measures approximately 60’x44.’ Partial lighting and sound capabilities. A spacious studio with permanent sprung wood marley floor well suited to large-scale rehearsals. This studio features beautiful natural lighting with ten small skylights throughout the uncommonly high ceiling space. A comfortable, well-lit space with an upright piano in the corner. Works well as an audition space or for smaller rehearsals. A cozy and private studio with no observation windows. Perfect for single-person rehearsals or private somatic practices. This is a cozy meeting area with East and South facing windows located in our KIIC wing where various local artists and entrepreneurs rent office space.